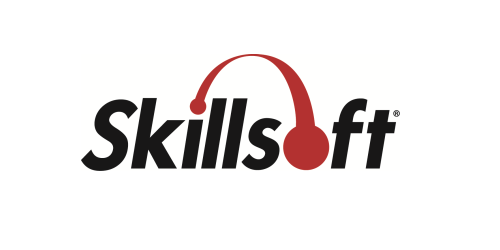 Skillsoft, a global leader in learning and talent management, today announced general availability of SumTotal Systems’ latest Talent Expansion® suite, which helps organizations drive employee engagement and retention by delivering a continuous learning environment that, empowers employees to develop the skills they need to succeed in their current jobs and advance their careers. The latest release of Talent Expansion, the first solution delivered together by Skillsoft and SumTotal, allows users to access Skillsoft’s more than 60,000 IT, leadership and business content assets spanning multiple modalities directly from within SumTotal’s talent and learning processes. By combining the contextual recommendation capabilities delivered by SumTotal with Skillsoft’s competency-aligned content assets, customers have access to a highly-personalized solution that knows what learning actions to deliver based on the skill and competency they require to drive employee enablement and team performance, leadership development and succession planning. Shifting global market trends, combined with skills gaps or mismatches and the rise of millennials in the workforce are forcing organizations of all sizes to look for new ways to engage, develop and retain their people. Offering a simplified user experience that delivers searchable, on-demand learning opportunities embedded directly into talent processes, this Talent Expansion release not only helps expedite employee time to proficiency and productivity, but also helps organizations make better decisions about their people through predictive, cross-functional analytics and end-to-end reporting capabilities. To learn more about learning-centric Talent Expansion, visit www.skillsoft.com/expansion or visit http://www.sumtotalsystems.com/why-sumtotal/talent-expansion/.